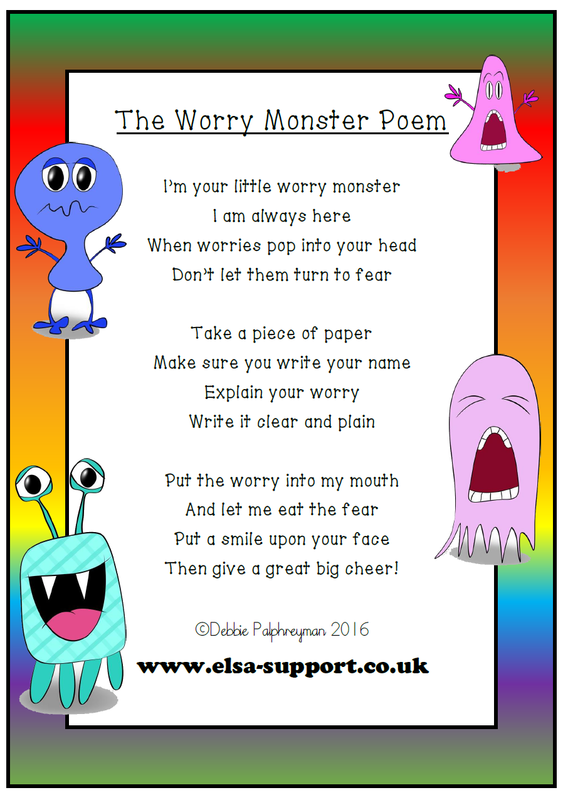 Put the poem near the worry monster so children are reminded what to do. Hopefully they will feel relieved once their worry is eaten by the monster. You can put this with any worry monster or even a monster that you have made out of an old tissue box.